Just a few days ahead of the MWC 2016 launch the South Korean tech company LG has announced a new smartphone line known as LG X. The new LG line currently includes just two models but this number is set to grow later this year. 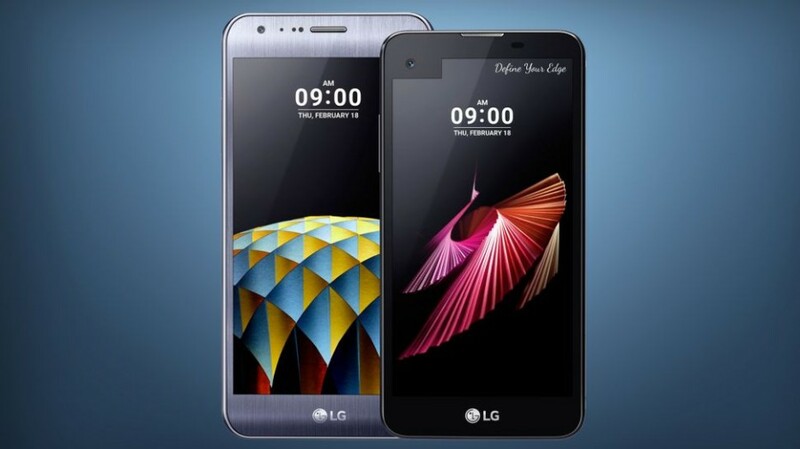 The LG X Screen is the first smartphone in the line – this one comes with a 4.93-inch IPS main display that works at 1280 x 720 pixels and a secondary 1.76-inch display that features LCD technology and that works at 520 x 80 pixels. The device is powered by a quad-core processor at 1.2 GHz and has 2 GB of RAM, 16 GB of internal memory, a microSD card slot for expansion (up to 2 TB), one 13 MP rear camera with a LED flash, and a secondary 8 MP front camera. The X Screen also has support for 4G LTE, 802.11n Wi-Fi, Bluetooth 4.1, optional NFC, a GPS receiver, a 2300 mAh battery and Android 6.0 Marshmallow. The handset measures 142.6 x 71.8 x 7.1 mm and weighs 120 grams. Users will be able to choose among black, pink gold and white colors. The LG X Cam smartphone comes with a 5.2-inch IPS display at Full HD resolution (1920 x 1080 pixels) and sports an 8-core processor that runs at 1.14 GHz, 2 GB of RAM, 16 GB of internal memory, a microSD slot (up to 2 TB), a 13 MP rear camera with a LED flash and an additional 5 MP camera again in the back, an 8 MP shooter up front, support for LTE, 802.11n Wi-Fi, Bluetooth 4.1, a GPS receiver, NFC (optional), a 2520 mAh battery and Android 6.0 Marshmallow. The device measures 147.5 x 73.6 x 6.9 mm and weighs 118 grams. The handset will be available in silver, white, gold and pink gold colors. The prices of the LG X Cam and LG X Screen will be announced at MWC 2016. The devices will be on the market in Asia, Europe and Latin America in March 2016.